Happy Monday again...boy this weekend really flew by! Some weekends just seem to get away from me, and this was one of them!!! I was busy all day Friday trying to figure out a computer problem~which took most of the day, but finally got fixed (still don't know what I did), Saturday was a photo shoot (Ashley and I scoped out the area in the morning), so it was pretty much a day of photography~no complaining here!!! Although I did not get my house work done...no biggie, it will still be waiting for me when I get around to it~right? And Sunday is our family day, so after church I made a quick lunch and while everyone was watching football, I snuck into my computer room and started some photo editing. 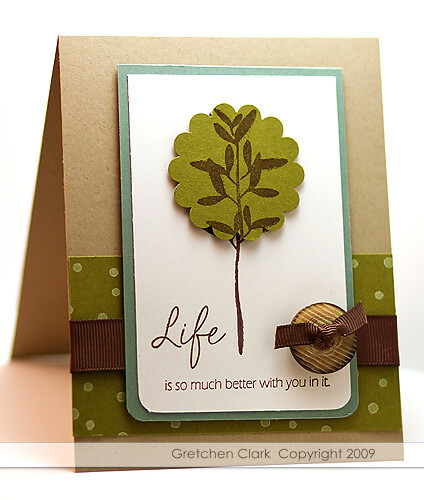 Luckily I had a card from last week that I forgot to post, because I didn't get any stamping time in. I cased this card from Nichole. I know I have said it before, but I LOVE her work!!! So pretty! Have you seen the new release? I think I am in trouble this month!!! !